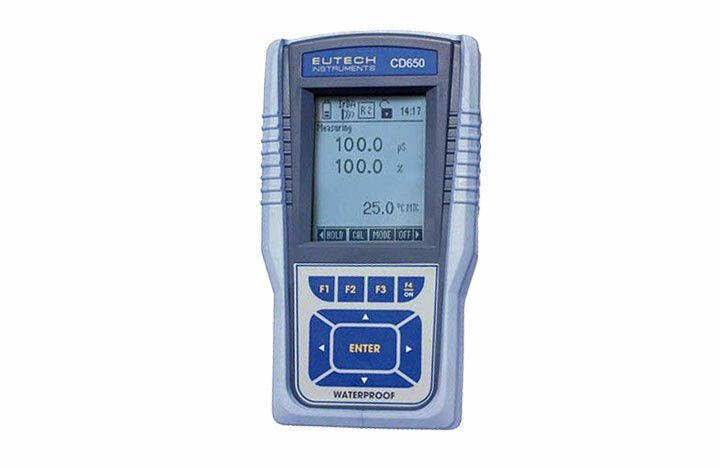 The Eutech CyberScan CD 650 enables simultaneous measurement and display of conductivity and dissolved oxygen, accepting two-cell and four-cell conductivity probe to measure up to 500 m/s in pure water. 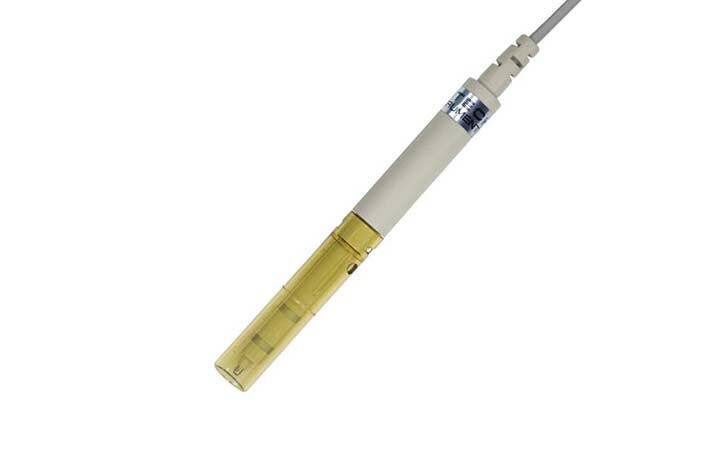 This unique handheld is capable of measuring 90.00mg/L in DO concentration and 600% in DO saturation - this is one of the widest dissolved oxygen measurement ranges offered on the market today. There is a choice of selectable multi-point calibration for more accurate conductivity measurements or single-point calibration for quick and easy calibration with no mistakes up to ±1% full scale accuracy at 3 decimal resolution across a wide measurement range. Fast and easy DO calibration with 100% calibration option against atmospheric air or 0% calibration against a zero solution. Salinity, temperature and pressure compensation readings are delivered accurately under varying conditions. This device is easy to set up, calibrate and trouble shoot by following easy to understand prompt messages. Recorded readings are individually time and date stamped in GLP compliant format, auto logging meter saves readings automatically within seconds to prevent data loss. A handy HI-LO limit alarm is fitted for easy quality control alerting the user when readings fall outside selected ranges. Information is easily transferred from the meter using wireless information technology which has no wires or cables - data from the meter is transferred to a computer at the press of a button. Environmental: water quality monitoring, monitoring health of aquatic ecosystems, groundwater drinking supplies, and meet EPA regulations. Water quality testing: Water analysis of hard water, drinking water, effluent water and process water. Industrial: For checking metal finishing, printing fountain solutions, cooling tower water, boiler water, rinse tanks, pollution control, waste water and industrial process solutions. 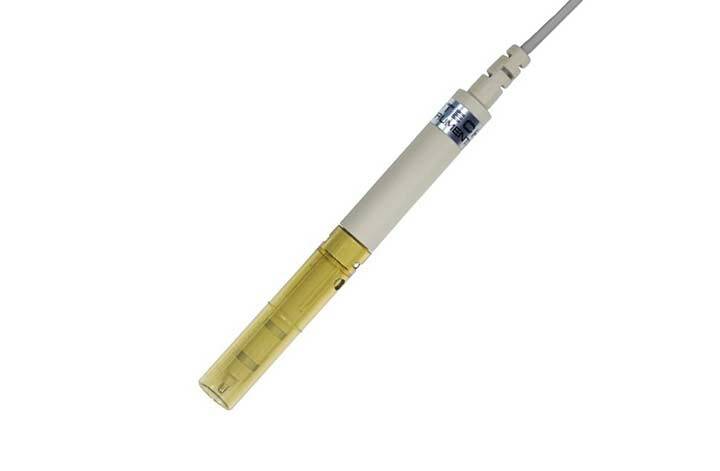 Ideal for quality assurance testing and food analysis. Aquacultural: monitoring oxygen levels in fish farming applications.